Interesting description… I wouldn’t go that far myself, but it’s always nice to hear someone complimenting the place where you live. Photo by Flickr user Neovain used under a creative commons license. 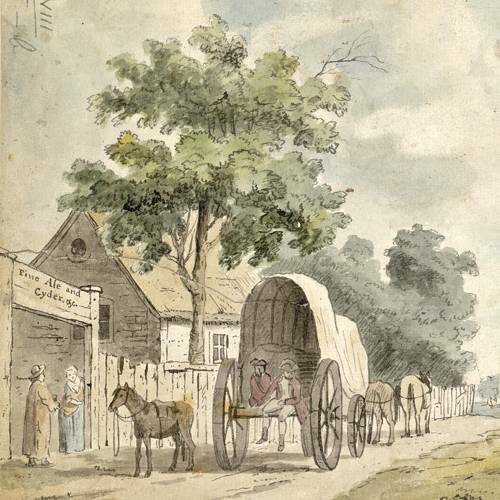 The Blackheath Poetry Society will be meeting on Monday 12 January 2009 at 8pm. Entrance is free. The theme for the evening is “Home and Family” — they bring a poem or two on this theme, and read round the room. They are primarily a poetry appreciation group, but for those who write poetry themselves it’s an opportunity to read your work and get feedback. 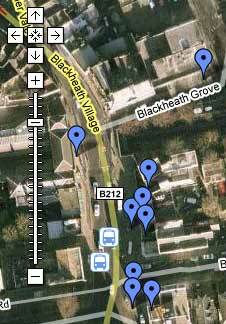 They meet in various members’ homes in the SE3 area. A couple of videos showing the Blackheath fireworks… Shame I couldn’t make it. I was knee deep in mud at the Brockham Bonfire… Very soggy. Volunteers for the Great Orang-utan Project do not receive any form of funding, and are therefore required to raise the entire amount. The basic cost of the project is £1599 per volunteer, making the total cost £3198. This excludes insurance, flights and other expenses. The cost of the project contributes to conservation projects made by the wildlife centre, and helps to employ experts, train locals and improve the conservation efforts through education and research programmes. So far, as a result of our fundraising we have managed to raise £327 towards our target. Sainsburys Greenwich showed their support by allowing us to use the entrance of their store to collect from the public on Saturday 18th October. 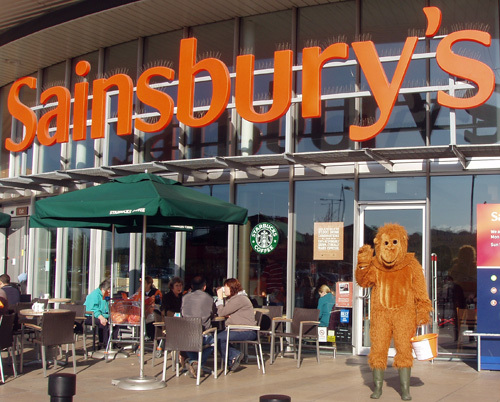 The day was a huge success, having donned an Orangutan suit for the entire day we managed to raise £260.21! We also received a personal donation of £25 from our local MEP. The rest of the funds were made up from car boot sales and on-line auctions. We are currently appealing to all local business, individuals and Associations for help in any way. Whether it be a monetary donation, a fund-raising event, donating stock or unwanted gifts that we can be auctioned on-line, anything that can help us take one step closer to achieving our target. Soon we will also be opening an account on the website www.auctionofpromises.com which allows people to donate a promise or item (like the promise of the use of a Rolls Royce for the day for example) and people bid for that promise. It looks like an interesting project, and whilst the animals aren’t in Blackheath, the fund raising is, so if you can help out, please drop them email to find out more. The Guardian had a very internet friendly headline the other day “10 Best Bonfire Night Celebrations in the UK“. I’m glad to say, Blackheath was included, but slightly less happy that I can’t see it, as I will be at the Brockham bonfire. The Blackheath bonfire night fireworks event is on 8th November at 8pm and is free to enter. Great photo by Flickr user Gillbrit taken in 2007. 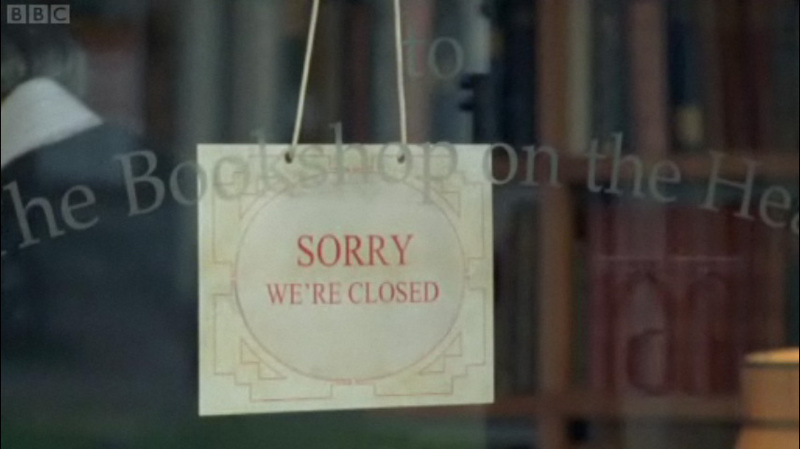 I’ve just spotted The Bookshop on the Heath (more here) in Spooks on BBC1 (see iPlayer to watch the episode, about 26min30sec in). 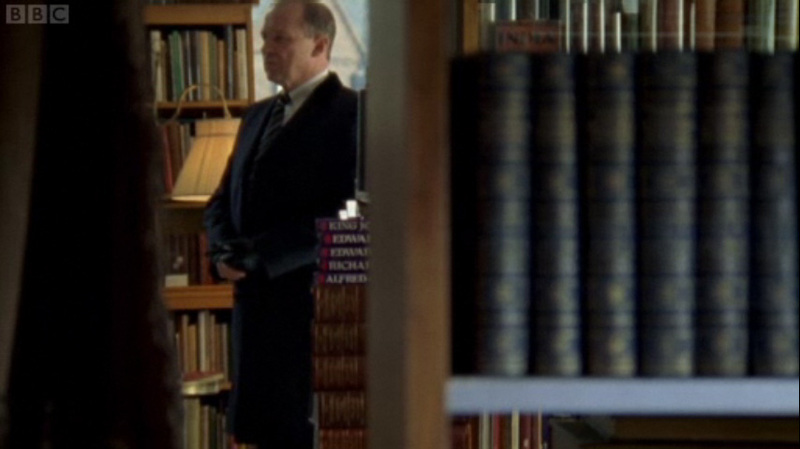 Harry goes off to see an old spy, who turns out to be up to something, whilst nodding off over some Soviet literature… Selectric gets a nice bit of product placement, too! There’s also a shot of the military college in Greenwich later on, I think. Of course the official site doesn’t go into any of the references mentioned in the episode, such as the mysterious “How to Get 165 Eggs from Every Chicken” alluded to in the Blackheath scene. Where is the director’s podcast commentary, like in BSG? !